420 Finisher is a plant biostimulant specially formulated for hydroponics that contains kinetin, a plant growth stimulant found in nature. Kinetin, a cytokinin, is native to many plants, and acts as a growth rate stimulant by stimulating cell proliferation and differentiation. When applied exogenously, kinetin can inhibit root growth and funnel resources toward the rapid growth of shoots and leaves. 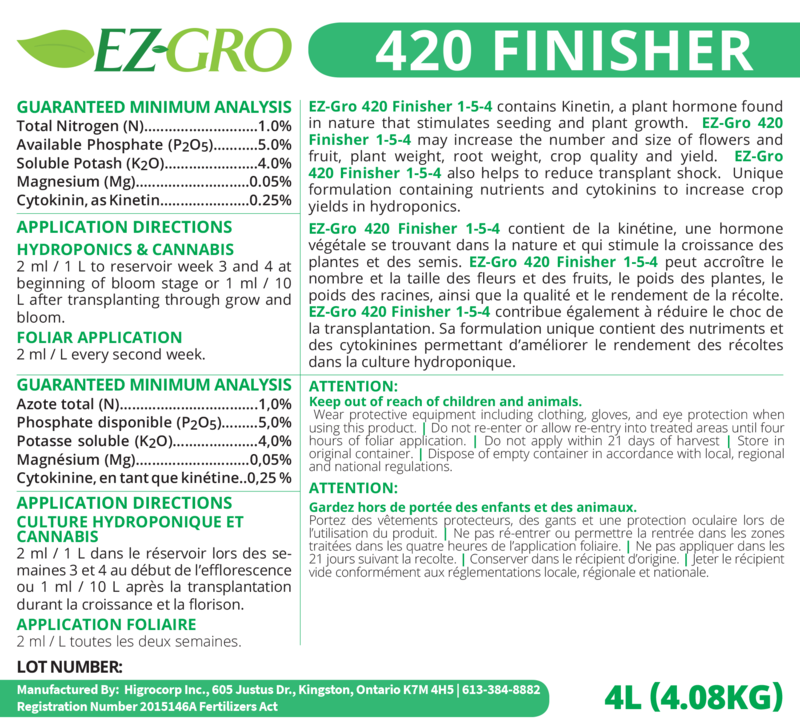 Reduce transplant shock, increase number and size of fruits and flowers and stimulate rapid growth of your crops by using 420 Finisher.